Designed exclusively for Mac OS X, and including full support for Apple’s latest release of OS X 10.11 (El Capitan), MacScan 3 provides protection against the continued growth of malware by offering advanced detection and removal of security and privacy threats. Protection against Malware Threats: Avoid getting hit with malware. 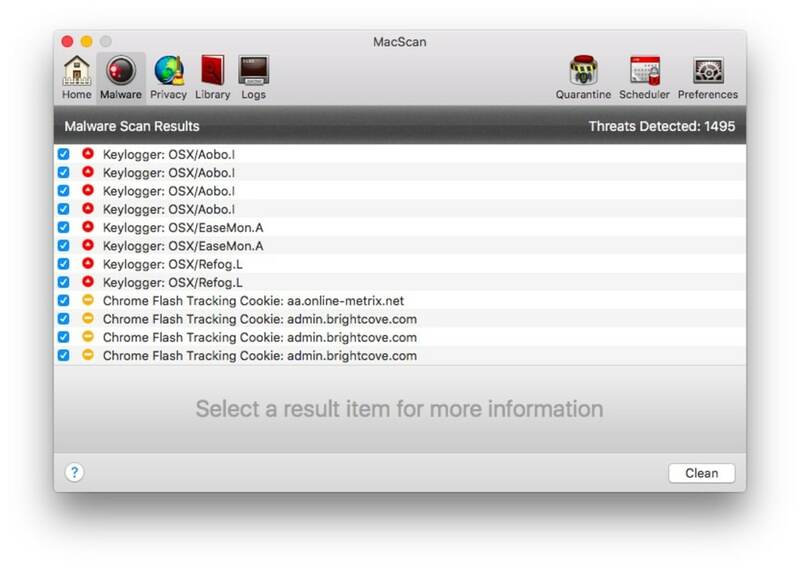 MacScan 3 offers four unique ways to scan for malware, including a new Smart Scan feature that targets locations where malware is known to hide, saving time and computer resources. 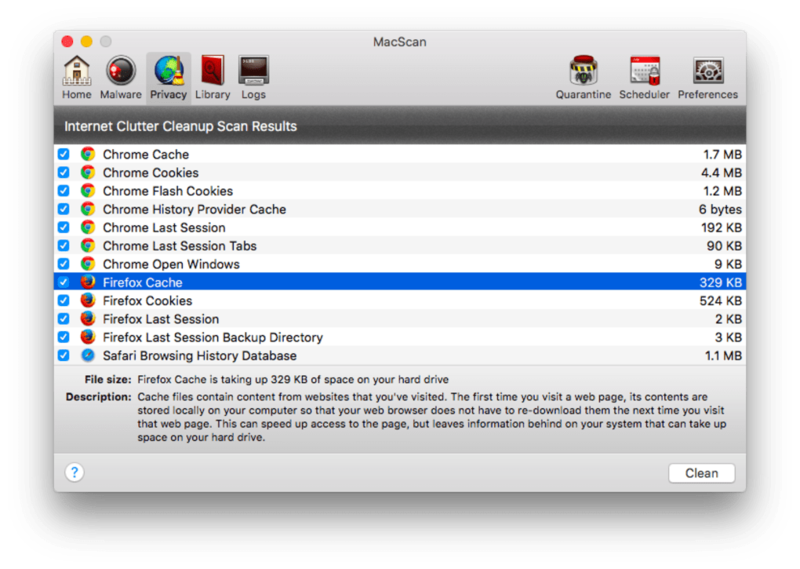 Internet Clutter Cleanup: Remove unnecessary files left behind by web browsers to free up valuable hard drive space and eliminate private data. Expanded cleaning options give you complete control and customization when it comes to your privacy protection. 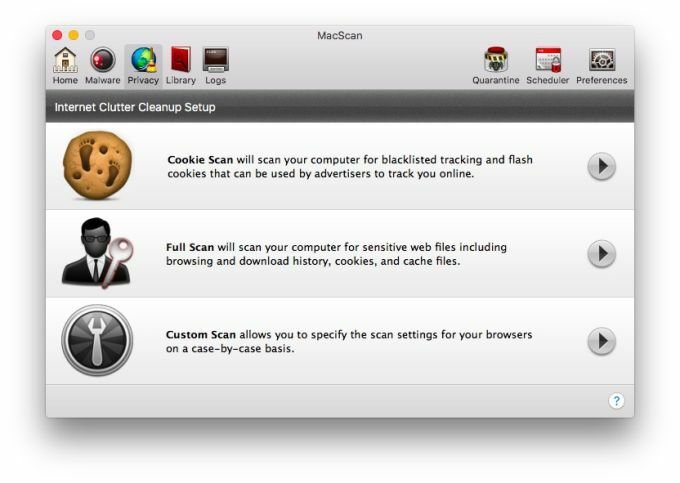 Scheduled Scans & Automated Cleaning: MacScan 3 has a built-in scan scheduler that gives you complete control to choose when a scan should automatically run, and allows you to configure different scans to run at different times. 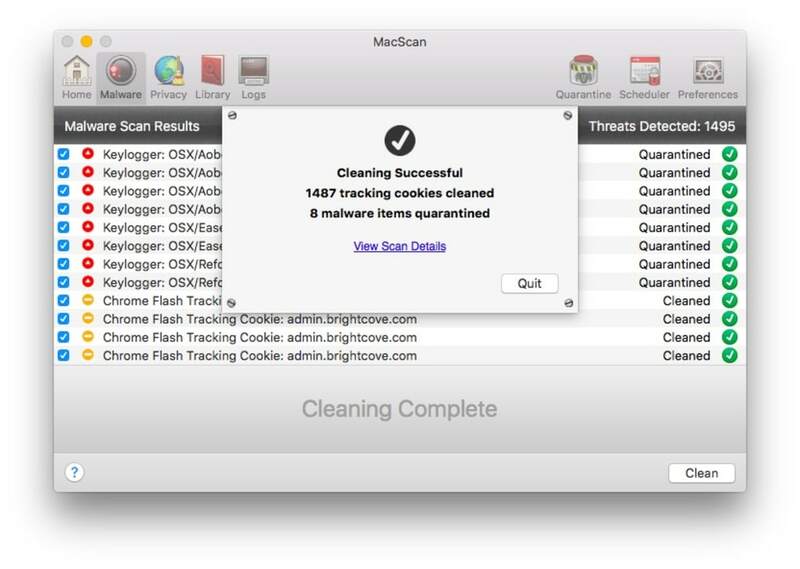 If you’re looking for a quick solution to tracking cookies, MacScan 3 has an automatic cookie cleaning feature that will target and remove blacklisted tracking cookies when you are done surfing the net, leaving the rest of your cookies in place – no user interaction required! 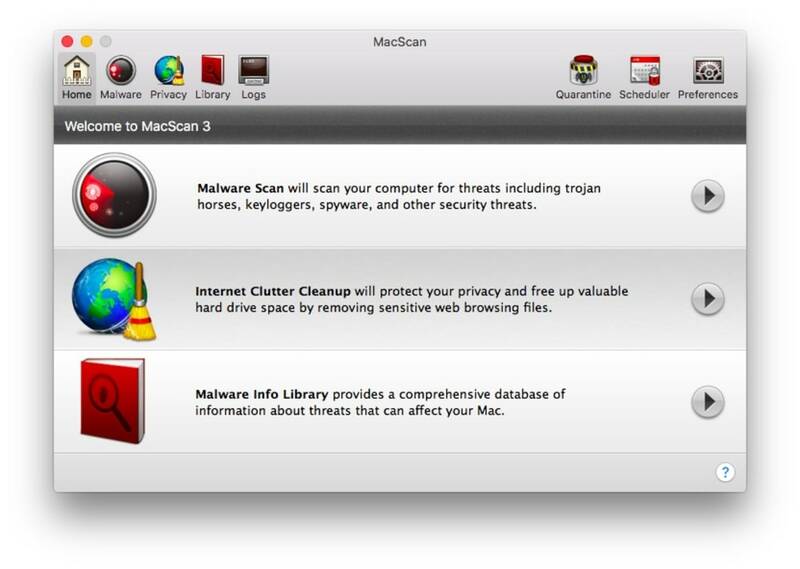 Malware Definition Updates: MacScan 3 automatically checks for malware definition updates before each scan, so you can easily stay up-to-date with protection against the latest Mac malware threats targeting OS X. 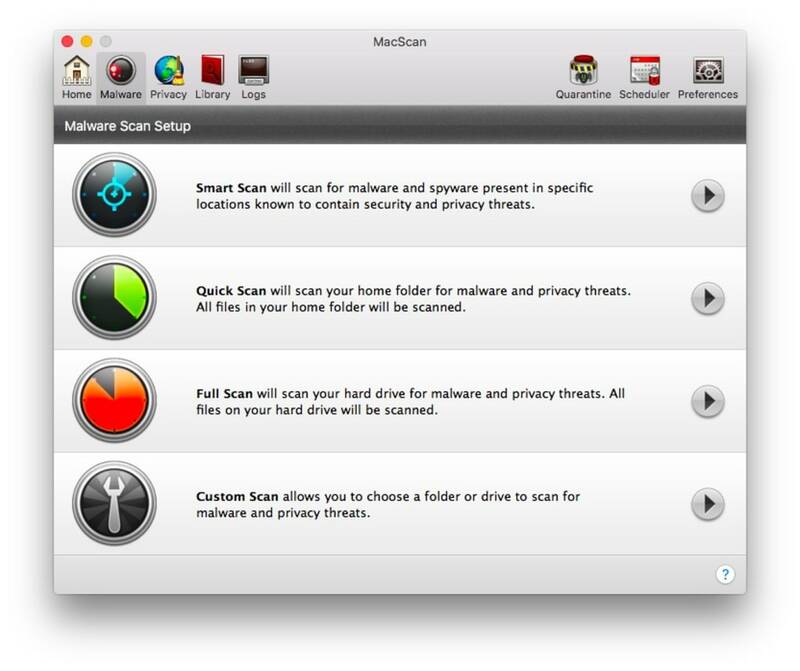 What do you think about MacScan? Do you recommend it? Why?